Harsh started his career as a programmer working on various search and pattern recognition algorithms including AI techniques, across radio astrophysics, bioinformatics and speech recognition. He then transitioned to the financial risk domain and for the last decade has worked in many regulatory jurisdictions with banks and finance companies as well as consulting firms focussed on quant modelling. 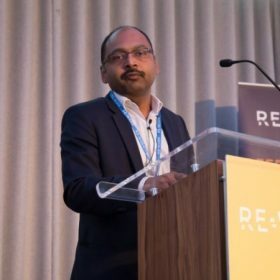 In this period he has applied Machine Learning techniques to behavioural modelling for ALM, mortgage risk modelling, derivatives pricing, time series outlier detection and risk data management. He has been a guest faculty with B schools and is currently authoring a book titled ‘Machine Learning for Finance’. George Papaioannou, is a VP Trading Strategist within the Scientific Implementation Group of Bank of America Merrill Lynch. A Global quantitative team employing systematic, quantitative and scientifically informed methodologies around execution, portfolio management, and risk management, with emphasis on development of client solutions. 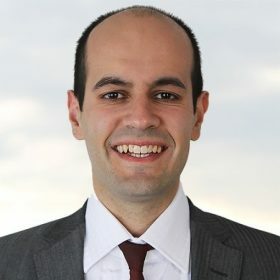 George joined BAML in May 2018, following 12 years in energy major Shell, where he worked on a variety of functions. His latest role was in a team of computational science specialists, advising on machine learning, data, cloud, and high performance computing projects. He has previously worked in production operations, oil and gas forecasting, production optimization, reservoir management, development and project execution, for offshore fields in Brunei. The first 5 years of his industry career he worked in R&D as a scientific software developer focusing on scalable solvers and high performance computing. George holds a PhD in Computational Fluid Mechanics from the Massachusetts Institute of Technology, where he also completed two MSc degrees and worked as a post-doctoral associate for a year. He has authored academic articles and acted as referee for several scientific journals. Jos is the co-founder and CEO of Yields.io. Prior to his current role he has been active in quantitative finance both as a manager and as an analyst. Over the past 15 years he has been working with leading international investment banks as well as with award winning start-up companies. He is the author of multiple patents applying quantitative risk management techniques on imbalance markets. 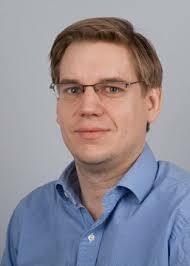 Jos holds a PhD in superstring theory from the University of Leuven. We give a brief overview of using Big Data and alternative data in financial markets, as well as some use cases for machine learning. We present a case study, examining how machine readable news can be used to trade FX systematically. We also show how news can help understand the market volatility around FOMC and ECB meetings. Saeed has a decade of experience creating and successfully running systematic trading models at Lehman Brothers and Nomura. 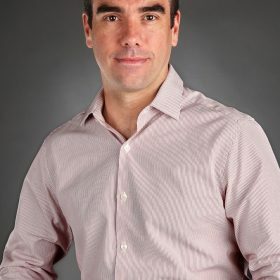 He is the founder of Cuemacro, Cuemacro is a company focused on understanding macro markets from a quantitative perspective. 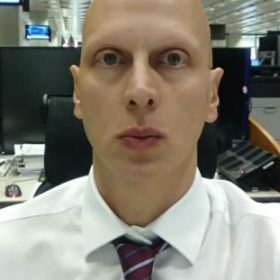 He is the author of ‘Trading Thalesians – What the ancient world can teach us about trading today’ (Palgrave Macmillan), and graduated with a first class honours master’s degree from Imperial College in Mathematics& Computer Science. Non-negative matrix factorization (NMF) is a widely-used tool for analysing high-dimensional datasets. Its popularity stems from its ability to extract meaningful factors from the data. Applications include image processing, text mining and bioinformatics. In this talk we will give an overview of NMF and demonstrate our implementations of recent NMF algorithms by automatically classifying a series of websites based on their content. We will then briefly discuss applications of NMF in finance. Edvin first worked with NAG between 2010 and 2013, as part of a Knowledge Transfer Partnership with the University of Manchester. Long-time NAG collaborator Professor Nick Higham and his team had developed many new algorithms to compute matrix functions. Edvin’s role was to convert these algorithms into code for the NAG Library. After the successful collaboration, Edvin worked with Professor Higham as a post-doctoral research associate, before finally joining NAG in 2015. He is based in our Manchester Office. 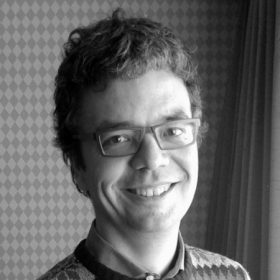 Edvin gained a PhD in Numerical Relativity from the University of Cambridge in 2009. His supervisor was Dr John Stewart. This followed a first class honours degree in Mathematics and a “Certificate of Advanced Study in Mathematics” from the same institution. Abstract: To gain an edge in the markets quantitative hedge fund managers require automated processing to quickly extract actionable information from unstructured and increasingly non-traditional sources of data. The nature of these “alternative data” sources presents challenges that are comfortably addressed through machine learning techniques. We illustrate use of AI and ML techniques that help extract derived signals that have significant alpha or risk premium and lead to profitable trading strategies. Robust portfolio construction using multi-factor models by blending in factors derived from alternative data with the traditional factors such as fama-french five-factor model. 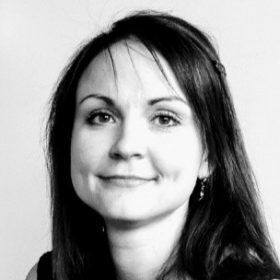 Dr Sandrine Foldvari joined Bloomberg as a BQL/BQUANT Product manager in 2009. 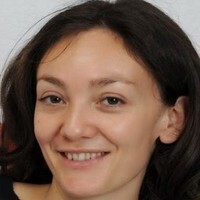 Prior to this, Sandrine earned her PhD from London School of Economics in portfolio allocation. She has 15+ years experience as a quantitative trader / researcher in proprietary trading desks at major investment banks (Goldman Sachs and Credit Suisse) as well as in Hedge Funds (AHL- Man Group and Taranis-BlueQuant). She has joined Bloomberg to develop their Equity Back-testing tool leveraging on Bloomberg data integration (through the in house query language BQL) to provide analytics tools through the BQUANT platform. Applications of Artificial Intelligence (AI) and Machine Learning (ML) are rapidly gaining steam in quantitative finance. These terms are often used interchangeably. However, the pioneering work on AI by participants of the Dartmouth Summer Research Project — Marvin Minsky, Nathaniel Rochester, and Claude Shannon — was more symbolic than numerical, and often used the language of logic. Recent advances in ML — especially Deep Learning — are more numerical than symbolic, and often use the language of probability. In this talk we shall show how to connect these two worldviews. 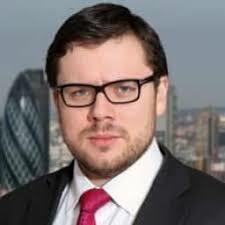 Ignacio Ruiz has been the head strategist for Counterparty Credit Risk, exposure measurement, for Credit Suisse, as well as the Head of Risk Methodology, equities, for BNP Paribas. In 2010, Ignacio set up iRuiz Consulting as an independent advisory business in this field. In 2014, Ignacio founded iRuiz Technologies to develop and commercialise MoCaX Intelligence. Ignacio has several publications in the space of quantitative risk management and pricing. He has also published a comprehensive guide to the subject of XVA Desks and Risk Management. He holds a PhD in nano-physics from Cambridge University. Gilles Artaud has been working in investment banking for the last 20 years, where he held various positions within Quant, Front Office and Risk Department, working all along on many underlying types, pricing, validation, regulatory and economic capital, market risk and counterparty credit risk topics. After setting in place the methodology and library for CCR and CVA, he lead XVA, initial margins on non-cleared transactions, and many regulatory topics. His current “hot” topics are XVAs (CVA DVA FVA AVA MVA…) and impact of new regulatory requirements on derivatives, among which SA-CCR, NSFR, FRTB and FRTB-CVA and Artificial Intelligence technologies in Risk Management. Grant Fuller is co-founder of Fintech applying artificial intelligence to gain greater insight and analysis of hedge funds. 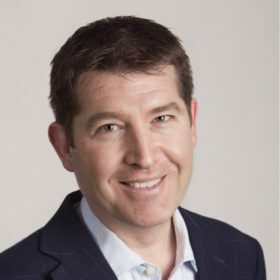 Grant was previously part of the hedge fund risk practice of Ernst & Young in London, and prior to that he helped start and develop Bloomberg’s successful hedge fund trading and analytics AIM platform, leading the firm’s European and Asian business. Before joining Bloomberg, he was part of RiskMetrics where we was responsible for helping build the European asset management technologies and consulting capabilites. Grant Fuller holds a BSc in Chemistry from the University of St Andrews. He remained at St Andrews to undertake a PhD applying neural networks within carbohydrate chemistry, after which he joined academic research at Cambridge University.